Technopolis is a great example of a renovation of an old factory and its redefinition as a cultural venue. 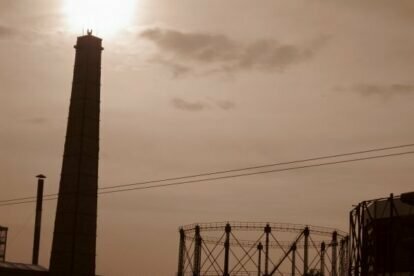 The complex where Technopolis is located used to host the gas factory of Athens – that’s what the Gazi area owes its name to. When electricity became the one and only source of energy, the factory was abandoned. After 1999, the gas factory was restored and became the Industrial Gas Museum and a cultural center, a fact that led to the development of the surrounding area as well. Today, Technopolis is a site that hosts many cultural activities of all kinds. Technopolis is where many festivals, events and gigs take place. Especially from spring and on, almost every night there is something to do in Technopolis. Sometimes with free entrance, sometimes with expensive tickets. Even if there is no event going on, a walk around the old factory and a beer in the cafeteria is worth it!